SRINAGAR, India — Two United Nations special rapporteurs urged the Indian government Thursday to lift a ban on social media sites and mobile internet service in the Indian-controlled portion of disputed Kashmir. The U.N. special rapporteur on freedom of opinion and expression, David Kaye, and the special rapporteur on the situation of human rights defenders, Michel Forst, said in a statement issued in Geneva that the ban had "disproportionate impact on the fundamental rights of everyone in Kashmir" and had the "character of collective punishment." Such restrictions "fail to meet the standards required under international human rights law to limit freedom of expression," Kaye wrote. Authorities in Indian-controlled Kashmir late last month banned 22 social media sites, including Facebook and Twitter, and 3G and 4G cellphone data services for one month in an effort to calm tensions after videos depicting the alleged abuse of Kashmiris by Indian forces fueled widespread protests. The government said the one-month ban was necessary for public safety because anti-India activists were misusing social media. Forst said such blocking "disrupts the free exchange of ideas and the ability of individuals to connect with one another and associate peacefully on matters of shared concern." 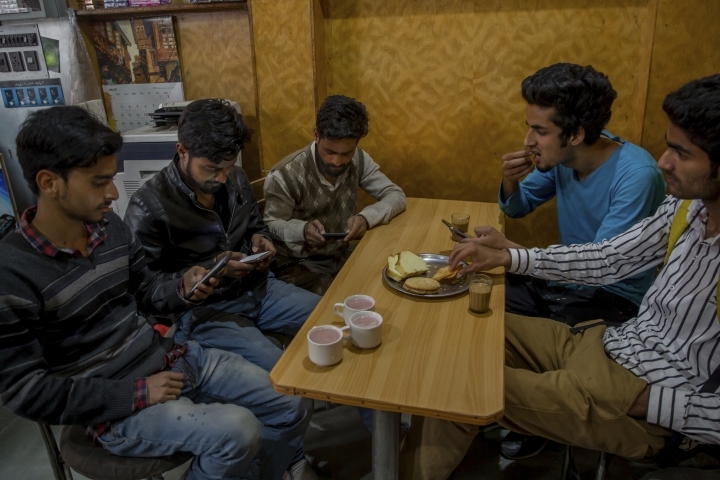 Indian telecom engineers struggled for at least three days to block the social media sites after the ban was imposed on April 26, drawing rebuke and mocking by many Kashmiris. Once in place, the ban has had little impact on the ground as many Kashmiris have continued using the banned sites and chat applications through proxy servers. Protests and clashes are an almost daily occurrence in Indian-administered Kashmir, where anti-India sentiment runs deep among the mostly Muslim population after decades of armed rebellion and military crackdowns. Disputes over control of the divided Kashmir region, claimed by both India and Pakistan, have sparked two wars between the nuclear-armed nations since 1947. Since 1989, rebel groups have been fighting for Kashmir's independence or merger with Pakistan. Nearly 70,000 people have been killed in the fighting and the ensuing Indian crackdown. India has accused Pakistan of arming and training the rebels, which Pakistan denies. The U.N. special rapporteurs said there were at least 31 reported cases of social media and internet bans since 2012 in Kashmir and called it "a worrying pattern aimed at curbing protests and social unrest in the region." The two called on Indian authorities to guarantee freedom of expression in Kashmir and "to seek a solution for the social and political conflicts of the region through an open, transparent and democratic dialogue." Last year, U.S. think tank the Brookings Institution in a report said that India blocked access to the internet in various regions to prevent demonstrations 22 times in the 12 months starting in July 2015, more often than Syria, Pakistan and Turkey did put together.